Asparagus Frittata is perfect, light lunch recipe. 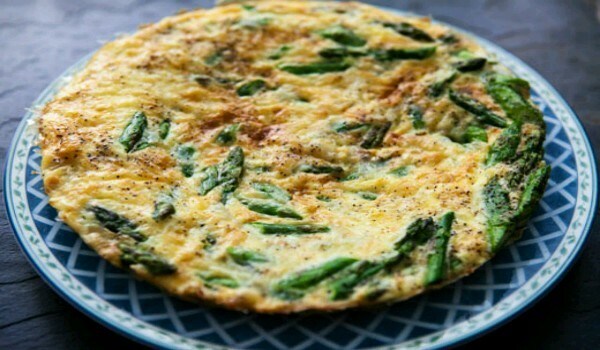 Learn how to make/prepare Asparagus Frittata by following this easy recipe. You should again drain and pat it dry. Get a 10-inch. Ovenproof skillet, saute onion in oil until it gets tender. Now you can add parsley and asparagus; toss to coat. Cover it and cook over medium heat for almost 8-10 minutes or until eggs are nearly set. You can sprinkle it with remaining Parmesan. Put uncovered skillet in the broiler, 6 inch from the heat, for 2 minutes or until eggs are set. Sprinkle slowly with cheddar cheese. Cut into quarters. The dish is very tasty when served fresh.